Higher safety on wet roads. For added safety, Aqua Channel surface sipes quickly directs the water film from the tread pattern as they contact the road. 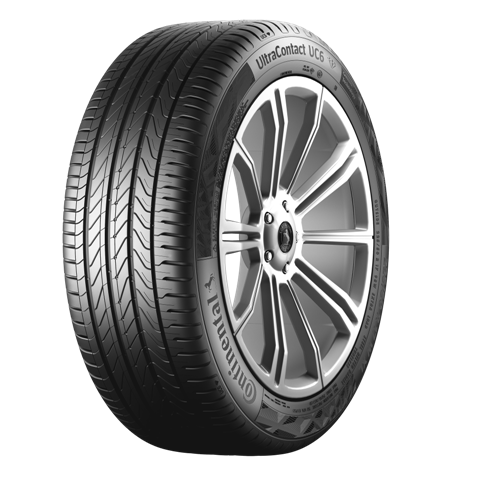 This gives the tyre enhanced water evacuation ability. 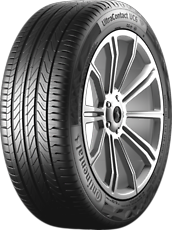 On wet roads, the centre of the tyre is at highest risk from aquaplaning. To further reduce this risk, specially developed Aqua Drainage elements are positioned to quickly push water through a tube system into the tread grooves. Extreme short braking distances in dry and wet conditions. 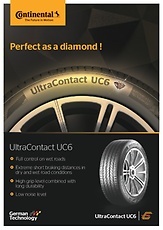 The chamfered angle of the Diamond Edge in the pattern maximizes the contact area of the pattern to distribute the braking forces more evenly while braking. 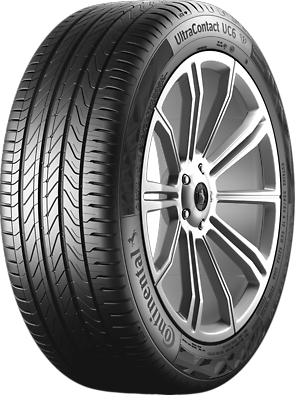 Without this chamfer, the tread block distorts and loses some of its contact with the road. In wet conditions, the Diamond Edge acts as a wiper that clears the water film away from the tread blocks for short braking distances. The short grip-polymers are activated when the vehicle is driving through corners or while braking. This energy is transformed into heat to enable high grip and short braking distances. The long mileage-polymers are entangled and therefore strongly connected to each other, which ensures a high mileage performance.